If you have been charged with a crime, it is important to have an experienced criminal lawyer help you as early in the process as possible. 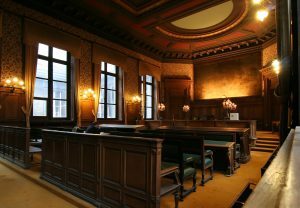 Many people assume that it is not important to get an attorney until their case reaches the trial level. Others assume that, if they are going to enter a plea, hiring a lawyer early in the process is a waste of money. This is not the case. Whether you plan on entering a plea or picking a jury, it is important to have a skilled criminal defense attorney by your side every step of the way. One of the most important parts of your case is the preliminary hearing. At the prelim, the Commonwealth’s witnesses testify under oath about the crime they think was committed. This is the first opportunity for a lawyer to cross-examine the witnesses and prepare your defense. Even if you plan on entering a plea, a qualified criminal defense lawyer will gather the information that you will need to get the best deal. It is also important to have a lawyer who regularly practices in the geographic area where you have been charged. Bickerton Law has represented thousands of defendants in the greater Pittsburgh area. From preliminary hearings to PCRA petitions, the criminal defense firm of Bickerton Law will help you get the best result in your case.